Enough awesomeness in this picture to shut down any venue. We had quite a blast at our annual costume and Halloween potluck! 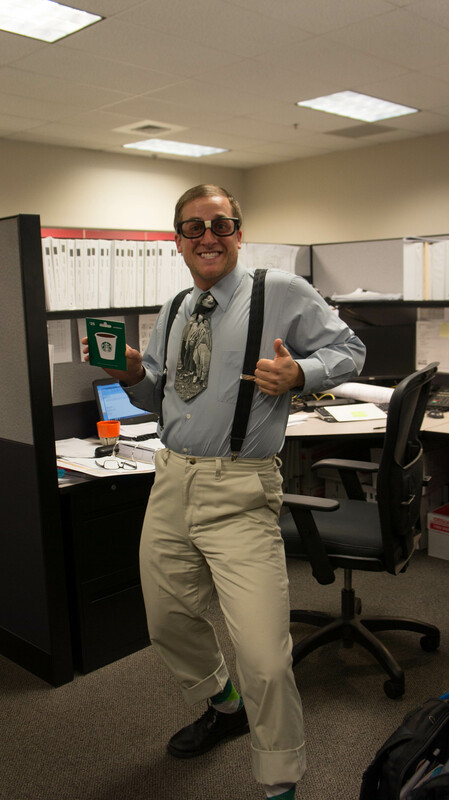 Congratulations to Zeke Reardon who won our costume party, way to commit to the costume! This entry was posted in Setpoint Systems News and tagged Setpoint Systems Corporation on October 31, 2013 by setpointsystems.